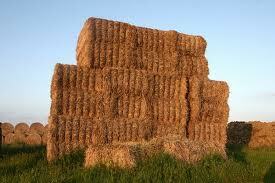 If you think this is a haystack, then you could be wrong. Apparently, if you are 12 a haystack could actually mean this. Today I discovered that being "haystacked" or "stacked" meant someone kneeling down behind you of which you are presumably unaware and someone running up to you and pushing you over the back of the other someone onto the floor. Ouch! What an awful thing to do to someone. Yeah, I was just a little bit shocked. I mean all three of my boys are biostrous, but I thought this was just a little bit mean.